^ checks his kickstarter history. Hey, I backed this! Way to go, Previous Me! 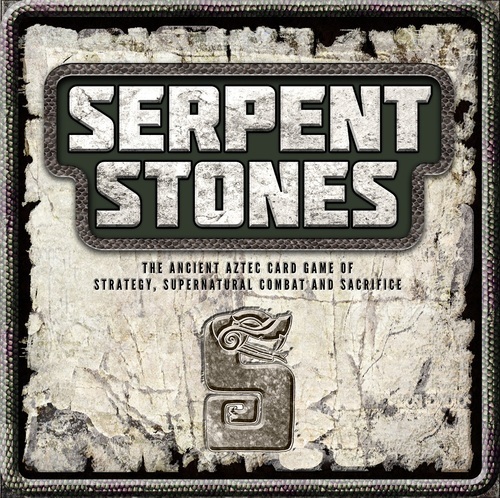 Serpent Stones is not yet published as the Kickstarter campaign just ended in August. (Thanks for backing us, Tensider!) 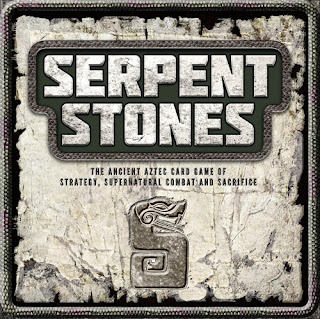 Our pre-release kick-off is scheduled for December 21st (the Mayan Calendar's end of the world) with the production run available in January. Lastly, the game will come on a high-quality game cloth which folds up nicely. The vinyl mat that wouldn't lay flat was a prototype. (and no, I'm definitely no Reiner Knizia, but I'm truly honored by your comparison.